Women at the BBC continue to be paid "far less" than men for the same work, a report into equal pay at the broadcaster has said. It is claimed the corporation has failed to fully tackle or acknowledge the problem of "unacceptable" discrimination. An inquiry into pay practices last year found the BBC to have an "invidious culture" of discrimination against women, and there were demands for action over inequality. The Digital, Culture, Media and Sport Committee today published a further report, which claims the BBC is still failing to confront the issue of equal pay and the concerns of female employees. The corporation has not accepted the committee's full findings, saying it does not recognise there is a systemic issue, and that major strides have been taken towards pay equality. However, the committee's report states: "We are very disappointed that the BBC has failed to acknowledge that a pay discrimination problem exists within the Corporation. "We are aware of ongoing concerns among female staff at the BBC. We believe that, had we not decided to undertake our inquiry, internal BBC action may not have been initiated in the same way. "We reiterate the conclusion of our inquiry: that our evidence suggests women within the BBC are working in comparable jobs to men but earning far less. This is unacceptable: the BBC is failing to live up to its duty to advance equality of opportunity." The BBC equal pay inquiry was launched following the high-profile resignation of Carrie Gracie, the former China editor whose pay was found to be up to £100,000 less than US counterpart John Sopel. After thorough investigations into BBC pay practices in October last year, a DCMS Committee report found that the broadcaster had not lived up to its duty to ensure equal pay. The BBC claimed accusations made against its practices were "out of date" and steps had already been taken to address pay problems. These steps have been found to be insufficient to tackle the systemic problem that the DCMS Committee has alleged. According to the latest report, BBC management continues to skirt around the term "equal pay" - which has legal implications - and refused to accept that it has discriminatory practices or tackle the "structural problem that exists regarding equal pay". The committee last year criticised an "opaque" discretionary system at the BBC, which meant individual managers could decide the salaries of female employees. Staff were also found to be sceptical of a bureaucratic grievance process regarding their pay. Despite many grievances being addressed, the report claimed the BBC had "singularly failed" to set out a recommended plan to resolve all issues raised. 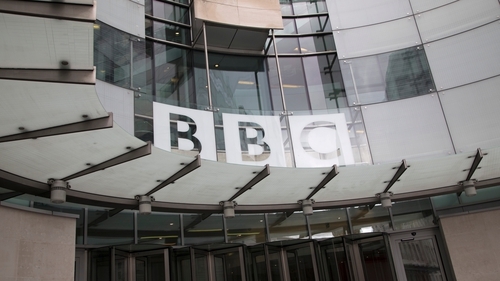 It further stated that: "We found the BBC's response on transparency in pay bands to be weak." It was reported that without a gender breakdown within each BBC pay grade, it is difficult for female staff to compare earnings with male counterparts. The report last year raised serious concerns with BBC talents allegedly being coerced into entering outside Personal Service Company arrangements with the broadcaster, in which they would have no sick pay, maternity leave or other benefits. There are currently concerns that employing top talent externally can protect salaries from scrutiny. MPs on the DCMS Committee criticised the lack of transparency over pay, and the practice of hiding high-earners in the external BBC Studios, which produces popular shows such as Strictly Come Dancing, Doctor Who and Top Gear. The report stated: "In our report, we highlighted that BBC Studios, as a commercial arm of the BBC, is not currently covered by transparency rules. "This means that staff employed by BBC Studios do not appear on the high earners list, effectively creating a loophole that means the BBC need not disclose the salaries of its top-earning talent." To the disappointment of the committee, the BBC said in response to its previous findings that while it publicly accepted some failures, "the BBC does not agree with the committee's suggestion that it operates a discriminatory pay practice". The broadcaster said it had "put in place a rigorous process to identify and address any historic instances, as well as to address individual queries about pay", and it was handling specific rather than systemic issues "with appropriate rigour". The BBC said it is aiming to eradicate the gender pay gap by 2020, and full reports on pay issues are presented to top management regularly. Regarding the use of outside companies not subject to pay transparency rules, the BBC said being made to reveal pay would "act as a major disincentive for companies to work in partnership with us, and this would inevitably lead to a fall in the range of high quality content available to the licence fee payer". The steps were found to not go far enough for the DCMS Committee, which will continue "monitoring closely". A spokeswoman for the BBC countered the DCMS claim, saying: "You only need to look at the significant reforms we've made to our pay and grading structures to see how much has changed, and we've also dealt with many of the individual pay queries raised with us. "While we do not agree on everything the committee says, we have acknowledged previously that we still have more to do - particularly to finish addressing the individual pay queries and grievances."